Cooking for my husband brings me SO much joy. He loves food as much as I do, and it’s just plain fun to cook for someone that really enjoys it!!! I love when my husband asks me to replicate something he has heard about or tried somewhere. I love the challenge of getting it JUST right. We have some type of green vegetable every night, so when my husband came home one day from lunch one day, ABSOLUTELY raving about these Green Beans he had tried, I was very excited about trying to replicate them. And of course, Uncle Bee says these are better 😉 I always make a huge pot of these to ensure there are leftovers for the week, because they just get better after they sit in the fridge for a day or 2! In a large pot, (I love to use my dutch oven for these) Add chopped bacon and saute over medium heat until crispy. Remove from pot and set aside. Leaving behind the bacon grease, to cook your green beans in. 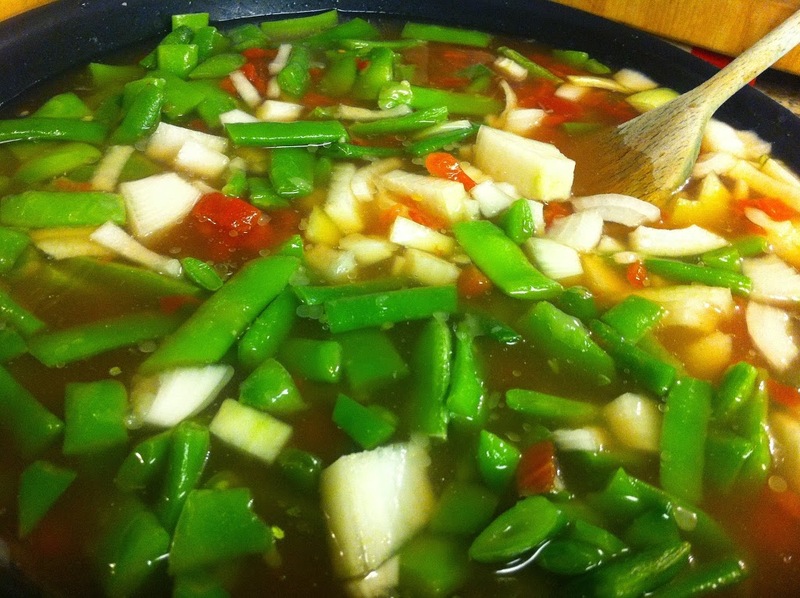 Add the onion, minced garlic, green beans, and the can of tomatoes WITH the juice. Next, add chicken broth and enough water to completely cover the green beans. Simmer over medium/low heat for several hours. Stirring occasionally and checking to make sure there is still liquid in the bottom. Add salt and black pepper. When the liquid is nearly gone, stir constantly for a couple of minutes until liquid is gone and bean sauce is thickened a bit. Toss with reserved bacon pieces. Check seasoning then serve immediately. Enjoy! I love side dishes like this one Brandi. Good thing Uncle Bee likes your best! This dish could not look any better; so nicely done Aunt Bee! I love cooking for my Honey, too! He has made me blossom in the kitchen! 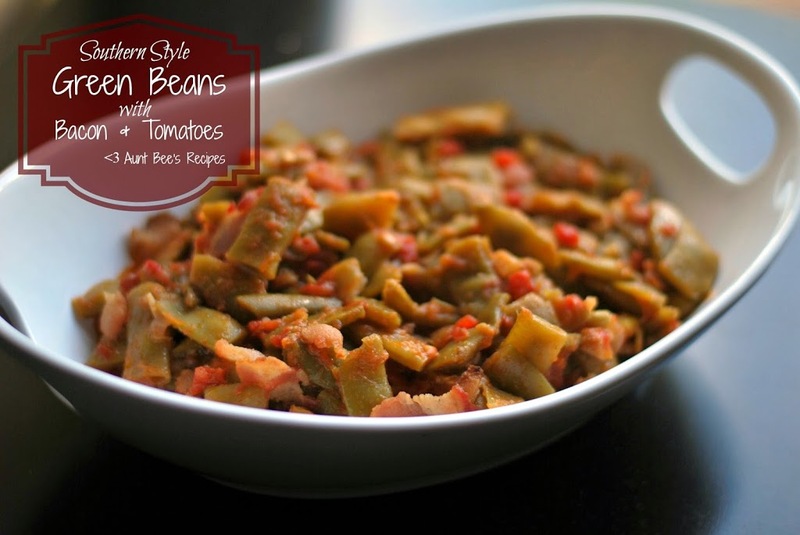 I really love green beans, these look fantastic!! I love green beans w/ tomatoes! I love the idea of bacon my friend! G+ & pinned.